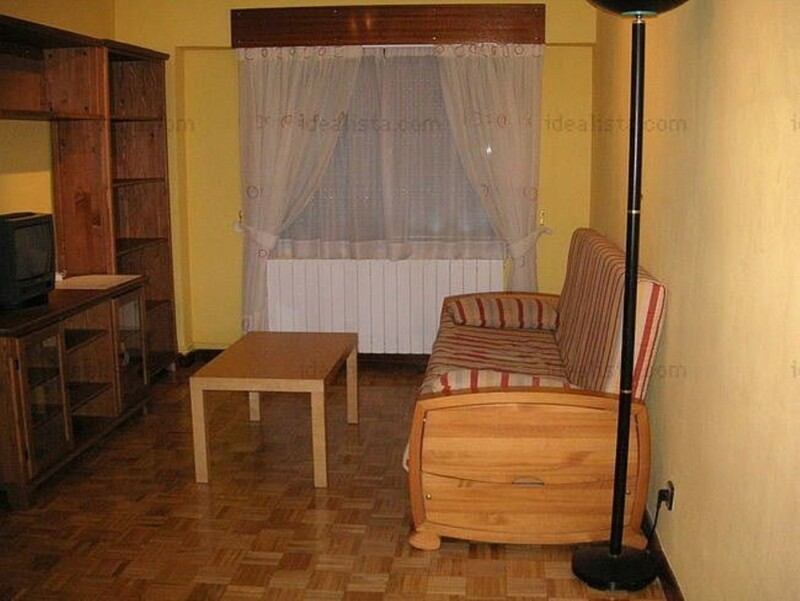 Spacious apartment in the area of Usera, completely renovated. It has 3 bedrooms, bathroom, kitchen, living room and covered terrace. The house has all new flooring, kitchen and bathroom completely renovated, completely smooth and freshly painted walls, white doors and covered terrace with windows. The bathroom consists of its own mirror cabinet and modern shower tray, all completely new. 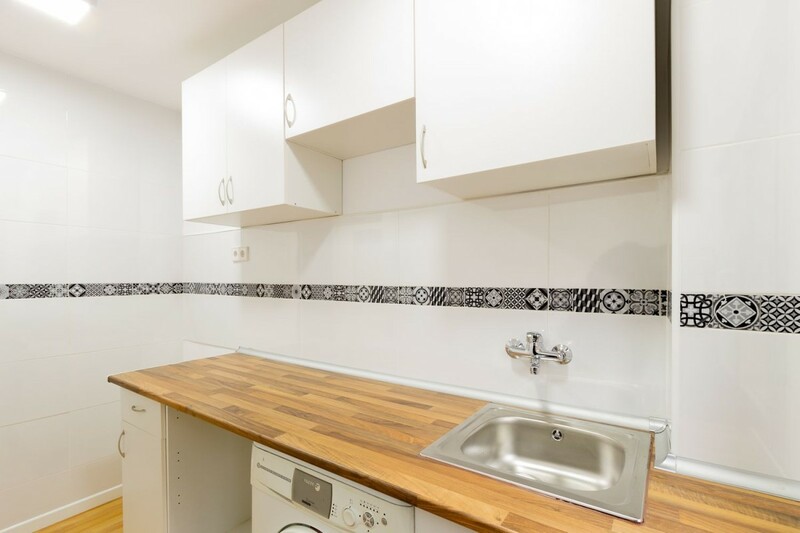 The kitchen consists of new furniture and sink, microwave and washing machine. The house is very bright, one part corresponds to a bright inner courtyard and the other part to the street, which also receives a lot of light. The heating is of blue gas, individual. 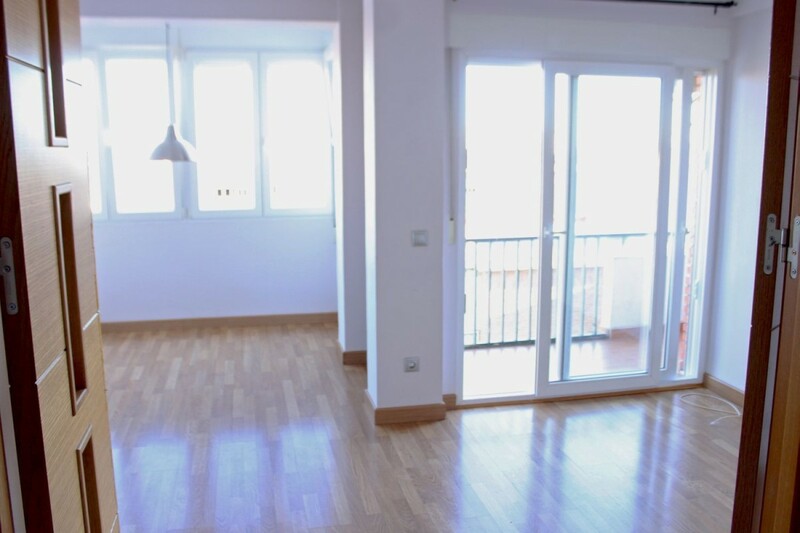 For sale completely exterior apartment with 2 bedrooms and a bathroom in San Emilio street. The apartment is a fifth floor without elevator and although the house needs a complete reform, it is a very interesting property. The main rooms, namely the living room, kitchen and master bedroom have a good size and the whole apartment is very bright given its south orientation, with all the rooms being exterior. From the living room there is also access to a small closed terrace, which serves as a relief for the house. The property has air conditioning in the living room and the building, which is accessed by a pedestrian street, consists of a very nice and well-kept garden. The house is located a few steps from the street Ricardo Ortiz, where you can find all kinds of shops, shops, restaurants, banks, supermarkets, schools and colleges, as well as the overpass to go to the Fuente del Berro park. The communication is unbeatable both by car, having very close access to the M-30, and by public transport, because less than 10 minutes walk have the metro stations of "El Carmen" or "La Elipa", as well as buses that circulate along Ricardo Ortiz street or along Avenida del Marqués de Corbera to go to the city center. If you are interested in the property, do not forget to call us. 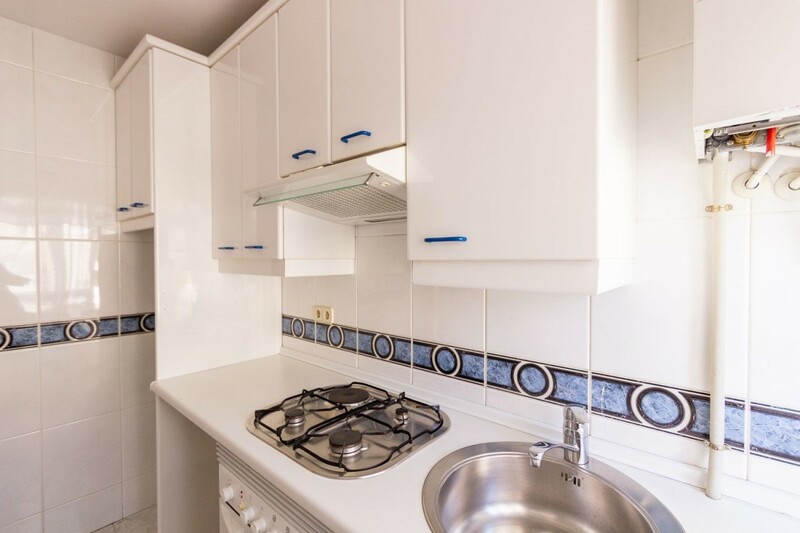 3 bedroom apartment in the Los Angeles area of Madrid, 10 minutes walk from the Metro "Cruce Villaverde" and Cercanías "Puente Alcocer", bus 18, 86, 116 and N14 at the door. Ideal investors, with a net return of 5.44%: IBI 268.12 € / year, community € 40 / month, income € 742.35 It is a very bright first with all the necessary furniture, kitchen with appliances (fridge, hob, oven, washing machine), and in the bedrooms we find the main one with a double bed and in the other 2 single rooms. As for qualities, we have parquet throughout the house and stoneware in kitchen and bathroom, freshly painted walls and individual heating of natural gas, the whole house in very good condition. The building has an elevator. It is housing close to all services: health center, schools, institutes, restoration. Apartment completely renovated, with all its exterior dependencies. 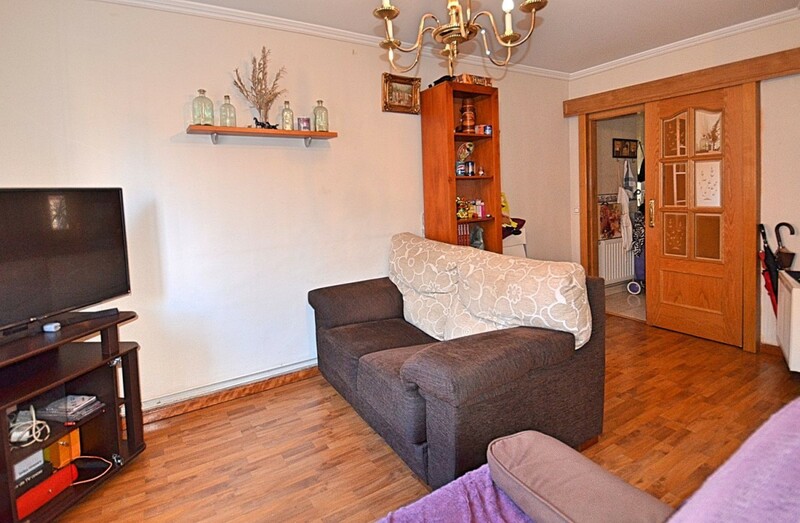 Very well located, one minute from Urgel metro and 10 meters from Marqués de Vadillo metro. Located in General Ricardos street, with all shops and services nearby. Renovated building, with elevator and video intercom. It has 2 bedrooms, 1 large bathroom with shower and storage space, living room with air conditioning and independent kitchen of good size. If you like to live in the center or want to make a good investment, call and specify your visit. Magnificent home a few meters from the Paseo de la Castellana area very well connected by buses and Metro stations (proximity to Nuevos Ministerios Santiago Bernabeu, Castellana). Area of commerce, banks, and schools nearby. It is located in a quiet and residential area. Fully exterior on the first floor, very bright, the house is distributed in a distributor, living room with terrace, two bedrooms, kitchen and a bathroom with window, tree lined street. To enter to live. The house has individual natural gas air conditioning and heating. The kitchen consists of new thermos, hood, oven and gas plate. The bathroom has a shower with a shower. The bedrooms have fitted wardrobes. The living room overlooks a very large and very bright terrace completely closed, could be used as another room. The elevator is being built. The farm has emails paq. Surrounded by gardens and parks. 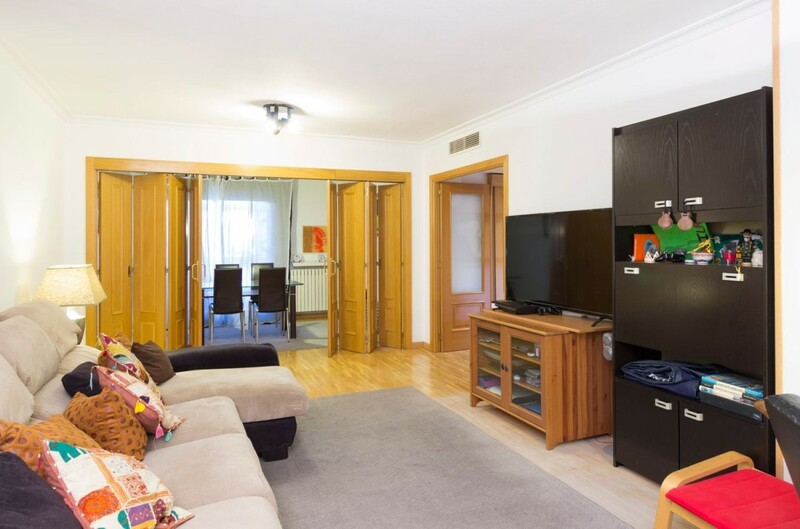 Apartment in the district of Chamartín, district of Hispanoamérica - Bernabéu. 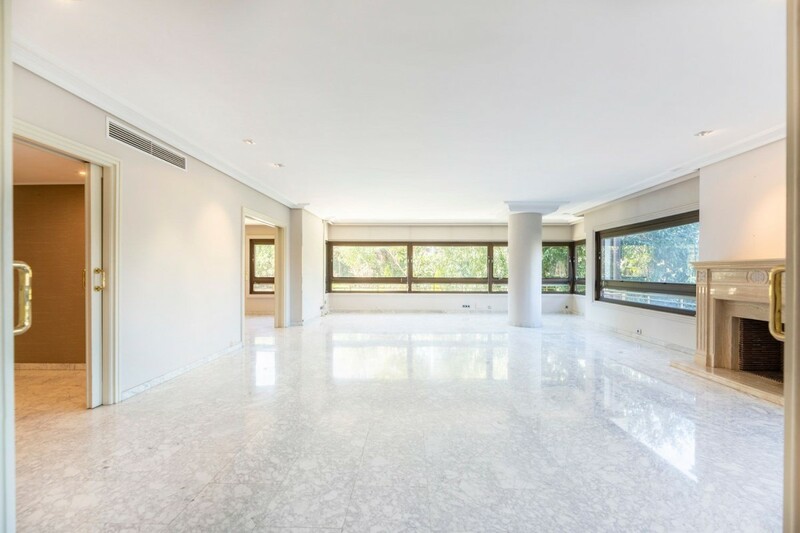 This impressive 167 square meter apartment is located in one of the most exclusive and elegant areas of Madrid. The apartment, which is equipped with the most excellent qualities, consists of 3 bedrooms, the main one with bathroom en suite. It also has another bathroom and a practical toilet next to the kitchen. The living room is very cozy, large and bright and accommodates different environments. It also has a nice dining room, next to the living room, as a separate room. The kitchen, in office, is very bright and functional. It has a large covered terrace with drying area and perfect for your enjoyment. The price also includes a garage and storage room. The property has luxurious common areas located on the roof of the building: 3 salt water pool. 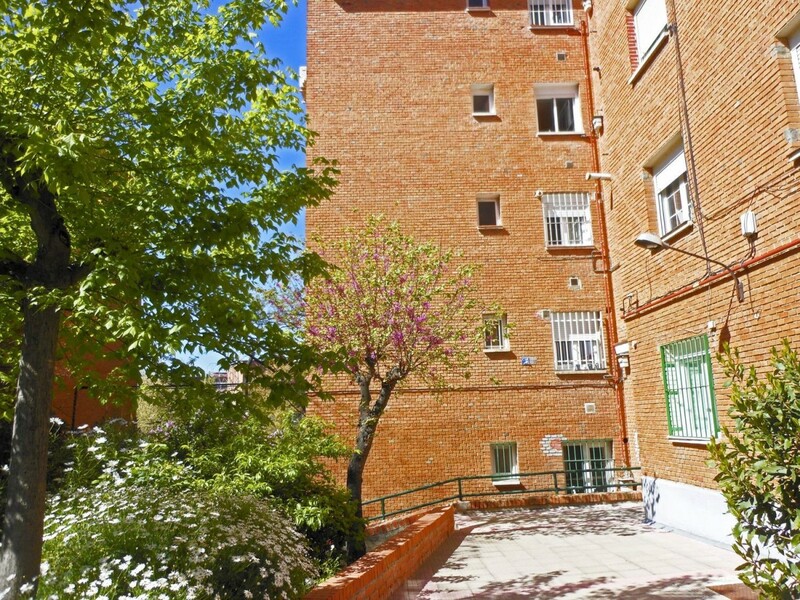 The area is very quiet and very well connected: very close to the M30, with metro (Alfonso XIII and Avda. from La Paz) and very close bus stops. It has all the services at hand: schools, playgrounds, supermarkets, shopping centers, bank offices, restaurants,.. . Ideal for families, or if you want to invest. Stately and representative apartment in quiet and private urbanization with, pool, gardens and permanent physical porter, located in one of the best areas of Madrid, Puerta de Hierro neighborhood, completely renovated with luxury qualities, central heating and hot water, as well as air conditioning in noble area. The constructed area with common elements according to cadastre is 433 m2 with the following distribution: Main entrance, hall distributor from which access to the noble area of the house with living room, dining room, library-office and small warehouse, hallway distributor; giving access to bathroom and bedroom area, consisting of four bedrooms en suite with their dressing rooms and bathrooms. Separate service area, with its own entrance from the portal of the farm, consisting of fully furnished kitchen, laundry room - iron and clothesline, as well as its separate bedroom and bathroom service. The house also has two parking spaces and storage, annexes. 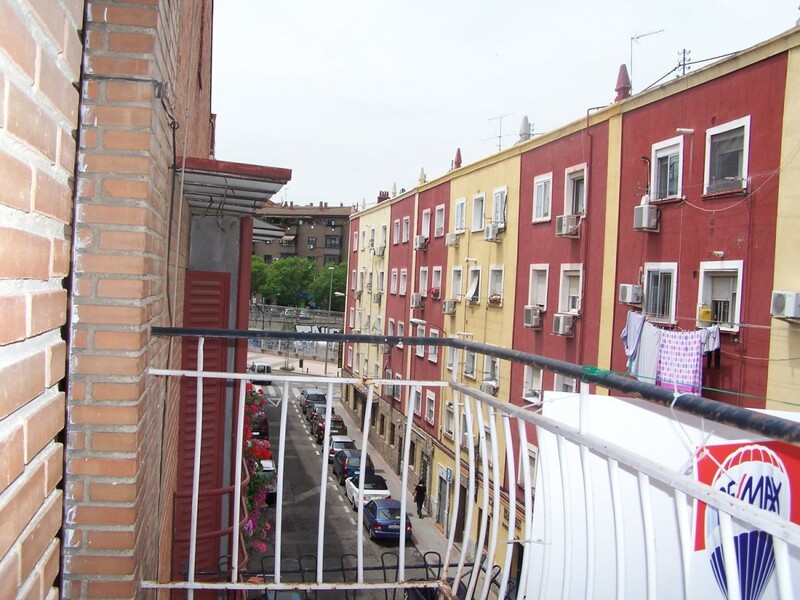 Housing to reform, in the district of Puente de Vallecas, next to San Diego Avenue and renfe de Asamblea-Entrevias. Fourth floor, without elevator. With two terraces: one to the street and another smaller one to a large patio with access from the living room. Currently with three bedrooms, living room, bathroom and kitchen. Pre-installation of natural gas. Very well connected, next to Renfe Assembly, in two minutes and only one stop is in Atocha renfe. Two steps from the main street Avenida de San Diego, with shopping area, pharmacies, school, green areas and sports center. We also sell the other house that is in the plant. They are identical, same meters and to reform too.